Nikon filed a patent for tracking moving objects without looking at the viewfinder - the camera will lock on the moving object and provide feedback to the photographer with a vibrating shutter button. Nikon filed a patent for changing the depth of each RGB pixel in order to optimize the spectral sensitivity characteristics. Nikon patented a lens barrel that can pan and rotate in oder to take landscape, portrait and panorama pictures. 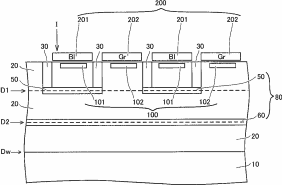 Nikon patented an OLPF (optical low pass filter) optimized for different shooting distances. Two different lenses were listed: 200mm f/4 and 85mm f/2.8. 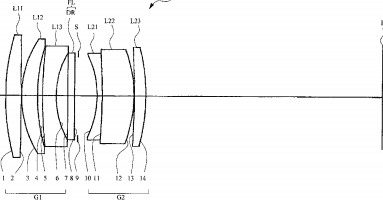 Nikon patents a diffractive optical element that achieves better corrections to color flare. This entry was posted in Nikon Patents. Bookmark the permalink. Trackbacks are closed, but you can post a comment.